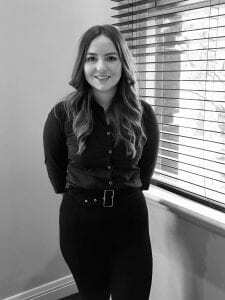 Cait joined us in 2017 and primarily assists our Principal Lawyer in our conveyancing department. She is currently undertaking her Bachelor of Laws online through Deakin University. When she’s not working, Cait enjoys the gym, travelling and spending time with family and friends. Her not so secret guilty pleasure is binge watching ‘Keeping Up With The Kardashians’ with her Cocker Spaniel, Walnut and Huntaway, Ollie.